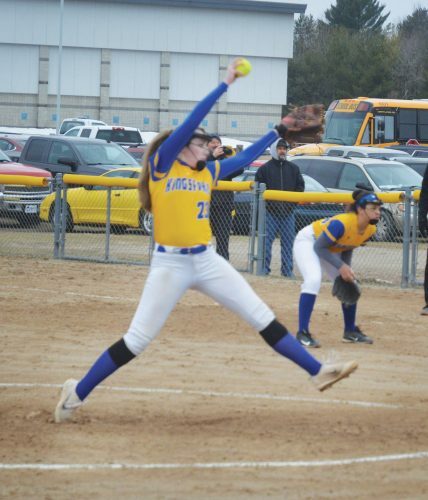 IRON MOUNTAIN — Kingsford’s bats came together for a doubleheader sweep against rival Iron Mountain on Monday. The Flivvers won the first game 11-4 and the second game 15-4 by collecting 22 team hits. Kingsford scored a run in the second and third innings to hold a narrow 2-1 lead. 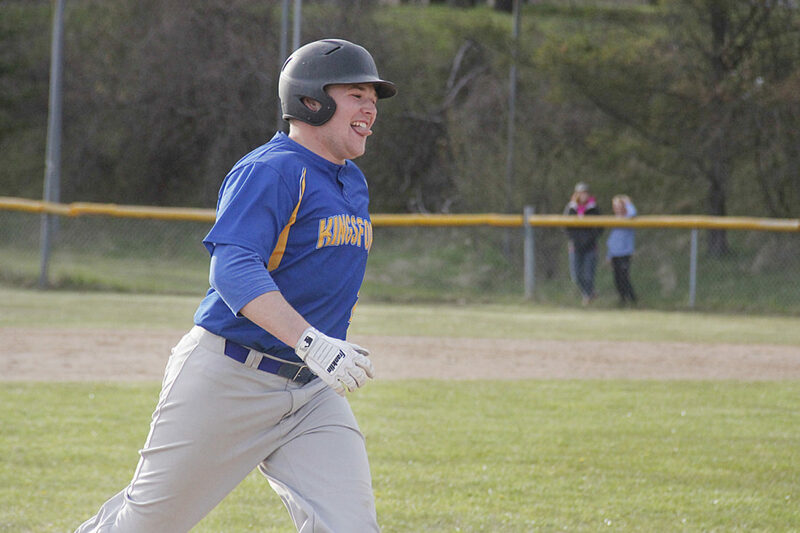 Then, Iron Mountain made five errors in the fourth inning and Kingsford blew the doors open with a six-run inning. Iron Mountain pitcher CJ Bolo perplexed Kingsford hitters in the first game, striking out seven while walking four and giving up nine runs on five hits. Just three of those runs were earned. Gavin Goulette pitched two innings in relief and gave up two runs (one earned) on two hits. The Mountaineers made four errors in the game. Kingsford’s defense also struggled, making five errors. But Kingsford’s mistakes in the field weren’t as costly as Flivvers pitching held Iron Mountain to four hits throughout the game. Austin VanPembrook started for Kingsford, going 1 2/3 innings, giving up a hit and striking out three. Luke Terrian pitched 1 1/3 innings, striking out two and giving up two hits. Marcus Maraccini pitched 1 1/3, striking out three and walking one. Noah Wilcox gave up four runs (one earned) on one hit and two walks. Hunter Lindeman pitched 1 2/3, striking out three batters. Wilcox was 2 for 3 with two RBIs and two runs scored for Kingsford. Guy Barrows was 1 for 3 with two RBIs. VanPembrook, Joe Murvich and Colin Erickson also had an RBI. Caleb Johnson was 2 for 2 with a run scored for Iron Mountain. Bolo and Steve Forstrom also had a hit apiece. Iron Mountain assistant coach Ed Felton said it was good to see the rivalry on a baseball field. Kingsford was off to a fast start in the second game with a nine-run first inning. The Flivvers added a run in the second and four in the third. The offense was helped with 15 team hits. 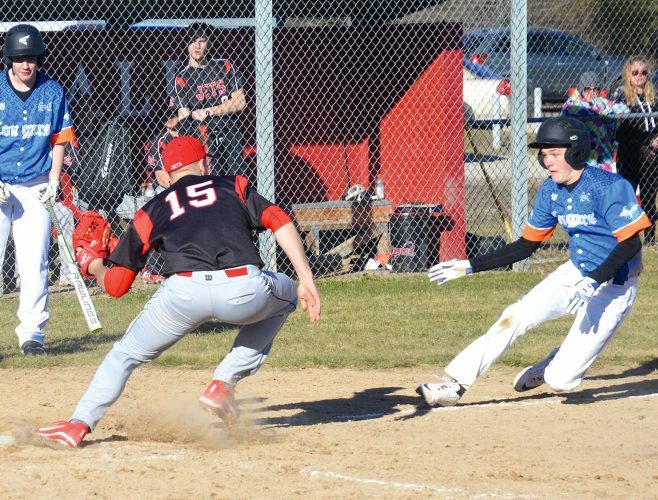 “We started hitting the ball much better the second game,” Lindeman said. “It was a lot better game for us the second game. You see them play right now, we’re big, fast, strong. We have some studs, we just have to put it together. All of us need to get on the same page right now. Hunter Lindeman pitched for Kingsford, giving up four runs (three earned) on four hits with a walk and a strikeout. Zach Spera gave up six runs on five hits with a walk. Johnson pitched in relief, giving up nine runs (eight earned) on 10 hits with five walks and seven strikeouts. Kingsford’s big first inning was helped by a three-run home run by Barrows to straightaway left field. Jesse Julian was 3 for 4 with three RBIs for Kingsford. Will Strand was 1 for 2 with two RBIs for Iron Mountain. Kingsford plays today at Gladstone, while Iron Mountain hosts Norway.